Join us during the club evening (at 21:00!) for this once in a lifetime tournament! Welcome at the homepage of D.B.V DIOK. 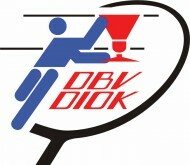 This website contains all kinds of information about the student badminton club D.B.V. DIOK.